Contains a medal table summary, a list of the 10 most recent results, a list of any new games records and also the Latest News containing various bits of information added during the games. The best place to go if you wish to view the results by Sport/Event. Click on the Event to view the results for that Event. In certain sports you may also then be able to get more information about a certain match by following the link displayed. This page enables you to find a Competitor or Team and then view all of their results. Enter all or part of the name of Competitor/Team. The search is based on the Competitors full name not just their surname. Select their Country or sport they are competing in if known, otherwise leave blank. Click on the Find button to return a list of the first hundred Competitors/Teams that match your query. Allows you to browse results for individual Countries in a similar way to the Sports Page but you must first select the relevant Country. The Schedule Page enables you to find the Schedule for a Sport, an individual Venue or for a particular day during the Games. To view a particular schedule select the Day/Sport/Venue from the relevant drop-down list and click on the Display button to the Right of the list box. 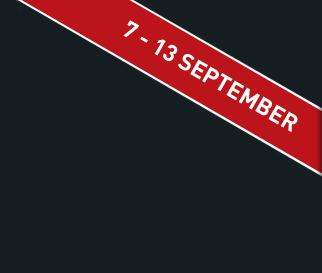 Remember, a printer friendly or pdf version of the Schedule can be obtained by clicking on the printer or pdf icons at the top of the page. The initial Medals Page contains a full medal table for the games with totals of all the medals each Island has won. This is ordered by total Golds, followed by Silver and then Bronze. By clicking on the name of a particular Island you will be taken to a medal breakdown for that Island, which lists all of that Countries medal winning Competitors/Teams. Clicking on the name of the Competitor/Team will take you to their details page. The ten most recent results in the Games are displayed in a menu called “Results Just In”. To view the results for a particular event click on it and you will be taken to the Results for that event. The Privacy Statement for this site contains all the information on the Privacy & Cookies Policy for this site. 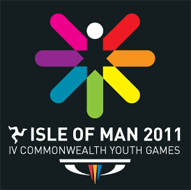 The Contacts Page contains information on the contact details for the Commonwealth Games Federation, the Isle of Man 2011 Organising Committee and the Offical Results Provider Exis Ltd.